Heroes, Heroines, and History: Hero or Enemy? When I attended Louisiana State University, I often drove down Semmes Road, one of the main streets that ran through campus. But I wasn’t aware of who Semmes was until I researched blockade running for my book, Rebel Light. 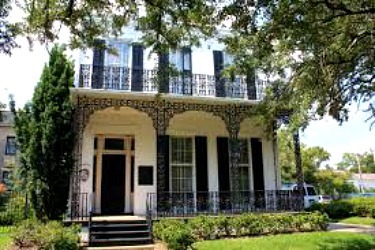 Much to my surprise, the man for whom the street was named, Raphael Harcourt Semmes, was a colorful character and famous Confederate blockade runner, or to be exact, commerce raider, during the Civil War. But why would LSU name a road after him? Semmes was born in 1809 in Maryland. By the age of 14, both his parents had died and he and his younger brother were taken in by their uncles. One of them owned a small merchant fleet which traveled to ports around the world. With that uncle’s influence and another uncle’s position as a senator, Raphael received a midshipman’s appointment to the US Navy. Over the next four years, Semmes served on ships that sailed the Caribbean, the coast of South America, and the Mediterranean. During times of leave, he studied law. By the time he became a ship’s officer three years later, he had passed the bar. He opened a law practice in Cincinnati, Ohio, where he married Anne Elizabeth Spencer with whom he would have six children. Semmes served in the Mexican War during 1846-48. After the war, he moved his family to Mobile, Alabama, where once again, he practiced law while on shore. In 1851, he wrote a memoir, Service Afloat and Ashore in the Mexican War. 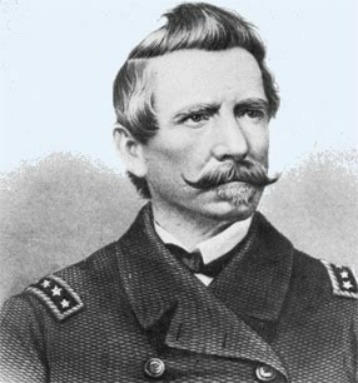 In 1853, he was promoted to commander and the next year transferred to Washington, D.C., assigned as a lighthouse inspector for the Lighthouse Board. 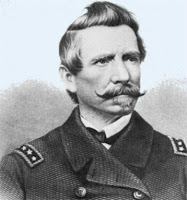 As the political environment heated up in the country, Semmes took the side of states’ rights, and when Alabama seceded from the Union in 1861, Semmes resigned from the US Navy. 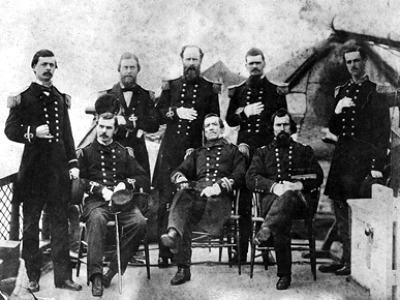 Afterwards, he was contacted by Confederate president Jefferson Davis and soon became a commander of the Confederate Navy in charge of the Confederate Lighthouse Bureau. But Semmes had other ideas. 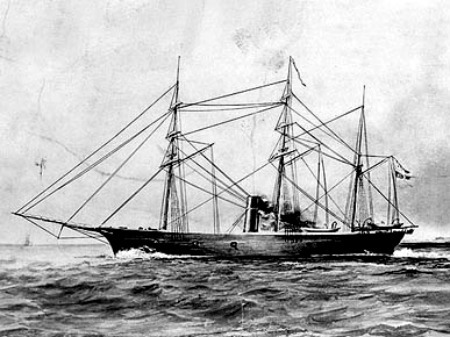 He convinced the Confederate Secretary of the Navy to allow him to outfit a boat as a commerce raider to stymie the Union economy and counteract the effect of the Union blockade on Southern ports. Semmes proved capable of his goal as he wreaked havoc on US merchant ships while commanding the CSS Sumter. 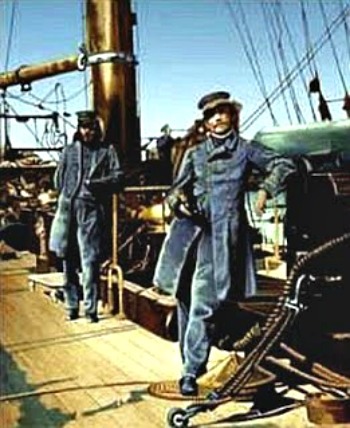 For six months, Semmes pillaged through the Caribbean and across the Atlantic to Spain. His knowledge of the ocean, coastlines, weather and shipping lanes, combined with superb navigational skills, allowed him to find his targets and escape Union warships. When he retired the battered Sumter in Gibraltar, he assumed command of a newly built ship which became the CSS Alabama, from Confederate sympathizers in England. The next two years, Semmes earned worldwide recognition for his destruction or capture of 65 Union ships, making him the most successful commerce raider in maritime history. Union newspapers called him a “pirate” and a “privateer,” both names Semmes rejected because he served as an officer in the Confederate Navy and was not acting for his own profit. When the Alabama was finally sunk in a battle with the USS Kearsarge in June 1864, Semmes’ raiding days were over, but he escaped capture and returned home to Mobile and his family. 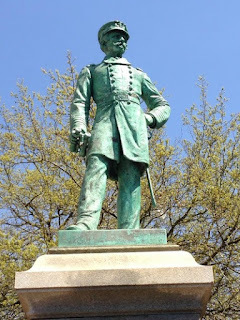 He was promoted to rear admiral and also served briefly as brigadier general in the Confederate army, the only North American to have held such ranks in both the army and the navy simultaneously. After the war, he was arrested for treason and held in jail for four months before being released. So what does this have to do with LSU? Well, after the war, Raphael Semmes became a professor of literature and philosophy at the university. Following his stint at LSU, he returned to law practice in Mobile. There he wrote his book, Memoirs of Service Afloat During the War Between the States, in 1869. Award-winning author Marilyn Turk lives in and writes about the coast – past and present. A multi-published author, she writes a lighthouse blog at http://marilynturk.com. Her latest release, Rebel Light, Book 1 in the Coastal Lights Legacy series, is now available along with A Gilded Curse, and Lighthouse Devotions on amazon.com. Would you like to develop your writing skills? 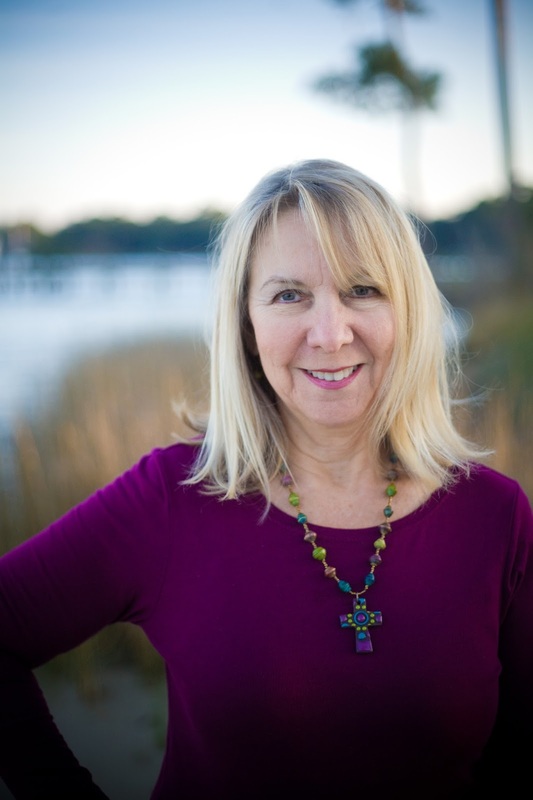 Marilyn is hosting a writers retreat March 22-25 at Blue Lake in southern Alabama. Whether you're just getting started or have been writing a while, this retreat will help you with your writing, inspire and motivate you. And right now, there's a "bring a friend" discount! Check it out at www.bluelakecwr.com. Interesting! After reading your post , I just realized that the city of Semmes in Alabama is mostly likely named after him. You're right, Grace, it is! Fascinating. It's amazing I've never heard of him, having grown up in central Virginia. He was not your average, run of the mill person! Thanks for posting.